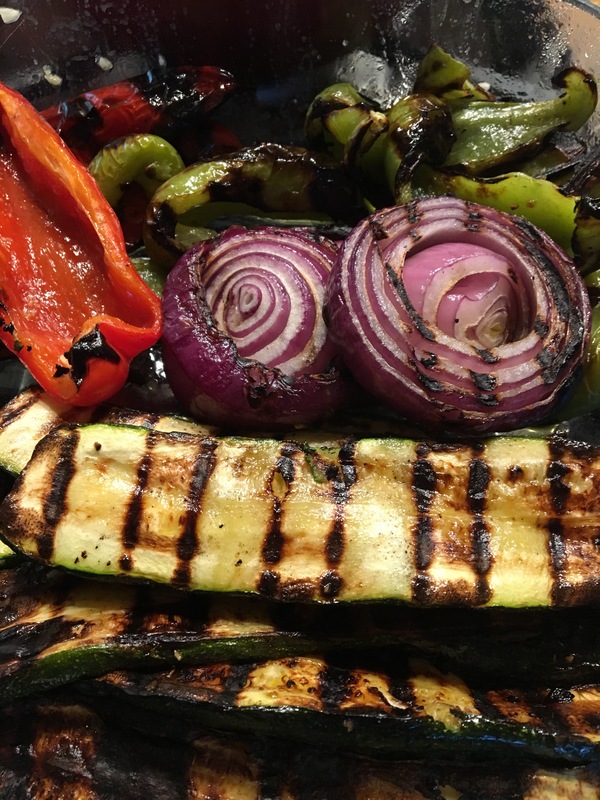 You can use any combination of vegetables below to whip up a super easy, tasty, healthy, and colorful side dish for any meal. In a measuring cup, add approx. ¼ cup olive oil and 2-3 cloves of finely minced garlic. Mix and set aside. 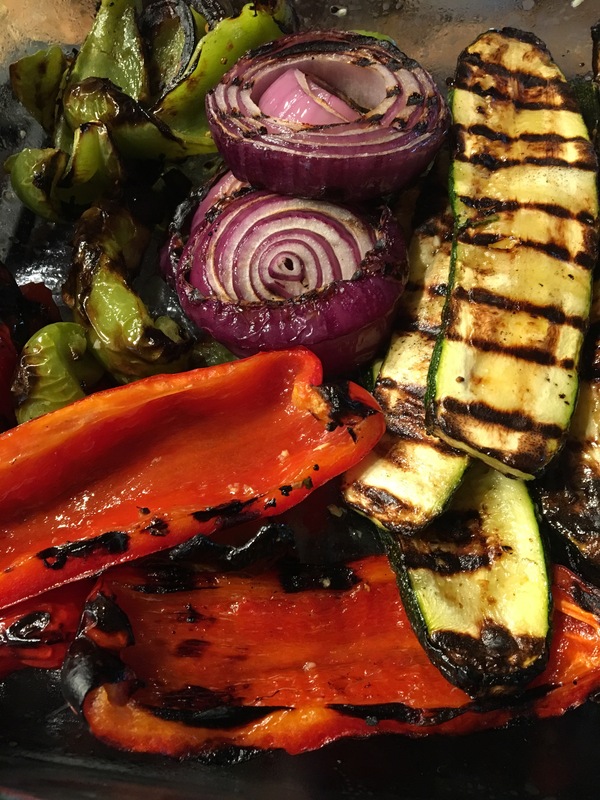 Place sliced veggies in a shallow pan (8X8) and drizzle with oil mixture. Gently toss. (You can also brush vegetables with a pasty brush generously dipped in oil and garlic mixture if you’d like). 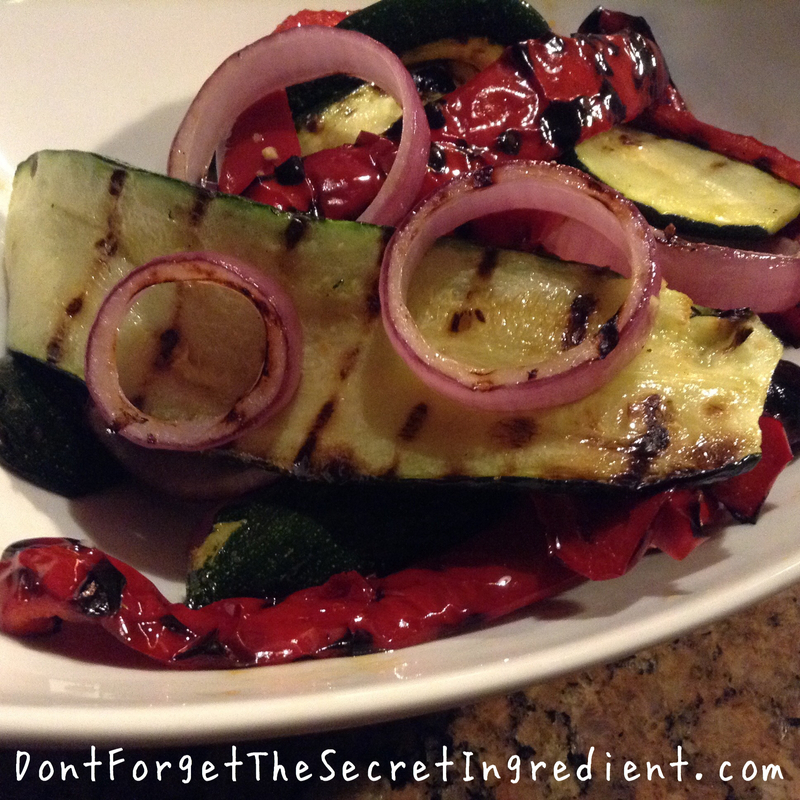 Place on a medium grill and cook until slightly charred and softened. Remove from heat and place on platter and serve. Yummy!